Credit Cards with Rewards, Are They Really Worth It? If you do not have a credit card with rewards tied to it, you may be wondering why these types of cards are in such high demand. These rewards are just one way credit card companies are enticing people like you to apply for their cards. While there are some great rewards being offered, it is crucial to fully understand how these credit cards work and whether or not they are worth it. Keep the following in mind to help determine if a rewards-based credit card could be right for you. Do You Pay Off Your Card Balances Every Month? Simply put, if you do not pay off your credit card balance in full each month, the rewards will not be worth it. For example, on a cash back card, you typically earn between 1% to 5% cash back on each purchase made. If you have a 20% Annual Percentage Rate (APR) on your credit card, and carry a balance over for a month or two, you’ll likely end up paying more in interest alone versus any cash-back reward you may earn in the process. Miss a payment and you’ll really be missing out on the benefits of the rewards. If you're the type of person who does not pay off your credit cards every month and routinely carries over a balance, your focus should be on finding a credit card with the lowest rate as opposed to finding the one with the best rewards. An important factor to consider is the annual fee you’ll pay for having the credit card. Cash-back rewards are great, but how expensive is the annual fee? Before signing up for any card, you should look at its annual fee, as it may out-weigh what you’d earn back in rewards. Do You Travel Often? Wish You Could Travel More? With certain credit cards, you can earn points or miles that can be redeemed later for airfare, hotel rooms or other travel expenses. Under most programs, you will earn miles or points for every dollar you spend as well as bonus points or miles for spending in certain categories or spending a minimum amount of money within a certain period of time after opening a new account. While some airlines offer card specific to them, you can also find a card that offers the flexibility to use for multiple airlines or travel options. Go with the card that offers the rewards that best match your travel style. Keep in mind, you also don’t have to settle on one card. Perhaps you favor one airline, but you want a variety of options for hotels or transportation. But if you’re not a frequent traveler, a simple, straightforward cash back card could be something for you to seriously consider. If you’re routinely paying off your credit cards in full each month, then a reward card may fit right into your wallet. If you’re not, then looking for the card with a low Annual Percentage Rate (APR) or no annual fee might be the better fit. The LOC Visa Credit Card carries no annual fee and can provide you with a rate as low as 9.90% Fixed APR. Stop by any branch or schedule an appointment to learn more about how the LOC Visa Credit Card can help you and your finances. 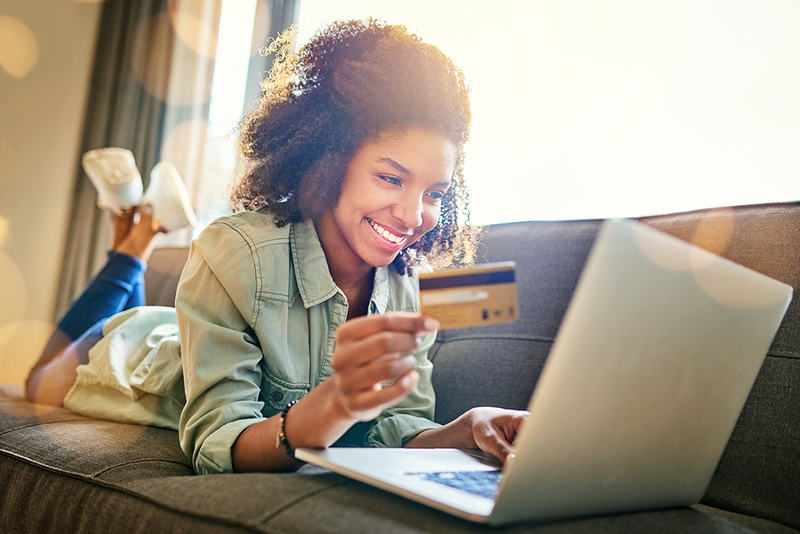 Whether you’re looking for airline miles, low monthly interest rates or simply looking for cash-back rewards, it’s important to take the time to research which type of card is right for you and your financial situation. Whichever option you may select, make sure that any rewards you earn would outweigh any of the annual fees associated with having the card. If you can do this successfully, you will have a plethora of credit card reward opportunities waiting for you out there. Just don’t forget to use the rewards once you earn them!